Individuals that have a bright and straight smile are going to exude confidence and be proud of their amazing oral health. Alternatively, those with smiles that are not quite what they would like them to be are going to find themselves avoiding life’s little interactions that make every single day memorable. 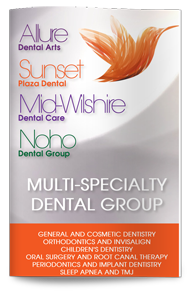 If you are in need of a dentist in West Hollywood, Sunset Plaza Dental is ready to give you the health and happiness that you deserve. We hear the story all too frequently in which patients continue to neglect their oral health and trips to a West Hollywood dentist due to time-constraints, anxiety, or financial issues. This can be a tragedy as many of the serious ailments that take place in the body can be the result of improper oral care. It is not the sole responsibility of the patient to continue to make those appointments for a dental checkup though. We believe that is also the responsibility of our staff to provide the most advanced treatments in the world in a friendly atmosphere. From the moment that you walk in the door, our staff and dentists are going to be devoted solely to your health and happiness. The basic services of our dentist in West Hollywood begin with the semi-annual checkup, one of the most important habits that anyone can ever develop. During these quick and painless appointments, patients will be treated to a thorough oral examination and X-rays, two integral steps in which we will be able to catch and prevent a slew of painful conditions. Not every call that is being made to our dentist in West Hollywood is for preventative services. Many locals are simply in search of ways to improve the appearance and function of their smile, and that is why we are here for them. Our multi-faceted team of dentists is proud to offer a wide range of services including chairside whitening, gum treatment, dental implants, snore therapy, and everything in between. 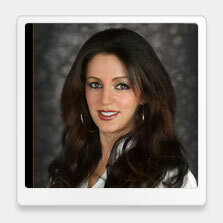 If you are ready to have the smile of your life, Sunset Plaza Dental is ready to give it to you. Contact us today for a memorable smile that will last a lifetime.